There is a prevailing idea in the religious world that one must choose between truth and love—that to be a Christian you must stand by and teach one only. To some, the command is all that matters, which leads to hollow, monotonous worship (Mt. 23); to others, the heart is all that counts, which leads to nothing more than lawlessness (Mt. 7:21-23). There is no better way to err, and yet, many who profess to be Christians say, “There is no middle ground.” This could not be further from the truth. Jesus said in John 13:34, “A new commandment I give to you, that you love one another; as I have loved you, that you also love one another.” Love is nothing more than a command—those who elevate love to elimination of all other teaching fail to see that you cannot throw out “law.” In doing so, you also throw out love, which, as a command, is just a piece of the New Law we have through Jesus Christ. However, love is nothing less than a command—those who belittle it have belittled a commandment that came from the mouth of Jesus, denying part of the truth. 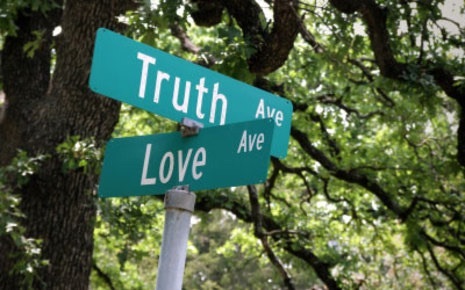 Love and truth are inseparable. You cannot choose one or the other. Jesus is the truth (Jn. 14:6). God is love (1 Jn. 4:16). 1 Peter 1:22 commands, “Since you have purified your souls in obeying the truth through the Spirit in sincere love of the brethren, love one another fervently with a pure heart.” Love and obedience go hand in hand. Ephesians 4:15 tells us that God intends for Christian leaders (v. 11) to set an example by “speaking the truth in love,” and, that this practice will aid in not only combating “every wind of (false) doctrine (v. 14),” but in the growth of the church in Christ (v.16). If we take out love from the equation, however, we become nothing more than noise (1 Cor. 13:1). If I attempt to diminish the value of love, all my efforts in living the Christian life are null and void (1 Cor. 13:2-3). Love is important—so important my salvation depends on it as well (1 Jn. 3:14; 1 Jn.4:20). If I am without love, I put myself at risk of being nothing more than a know-it-all (1 Cor. 8:1-2), and might never appreciate the love Christ displayed leading up to, and while on, the cross. You cannot eliminate truth or love from the Christian walk. In doing so, one wrongfully “handles the word of truth (2 Tim. 2:15).” While others choose one or the other, to compensate for the other extreme, let us “fix our eyes on Jesus” and choose both love and truth. 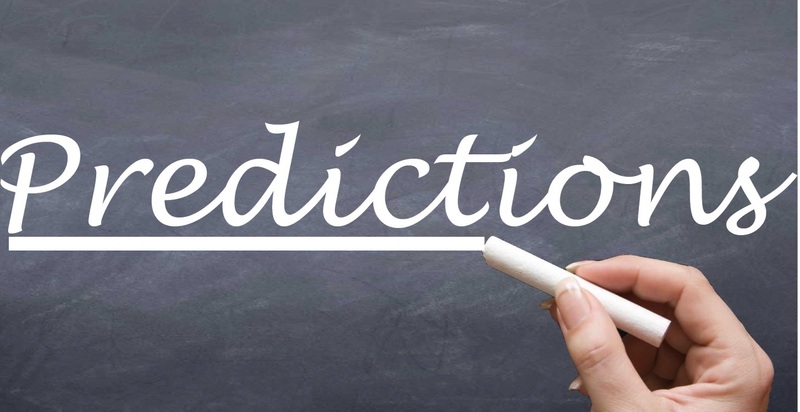 ​The world’s greatest prediction does not relate to sports. The record prediction in the title of this article is found in the Bible. Hundreds of years before Jesus Christ ever walked the earth, men known as prophets predicted His coming in great detail. The critic may ask, “Where is the proof, and how do we know for sure these predictions weren’t made up after the fact?” First, consider the Dead Sea scrolls, and then contemplate the mind boggling list of prophecies fulfilled in Jesus Christ. ​The Dead Sea Scrolls were discovered over the course of 10 years (1946-1956) in caves near Jerusalem. These scrolls have been dated by secular archaeologists as early as the 400’s BC. The scrolls include parts of various Old Testament books including Isaiah, Psalms, Genesis, Daniel, and several others. Keep in mind that Jesus Christ is documented by secular authors –Josephus, Tacitus, and Suetonius to name just three- to have walked the earth during the early 1st century. These are all non-Christian sources cited thus far: sources that have no reason to make Christianity look favorable. The very books found within the Dead Sea scrolls contain the most amazing predictions fulfilled in Christ, predictions dating hundreds of years before He lived. ​Here is just a short list of Old Testament messianic prophecy with the prediction cited, followed by its fulfillment. The Messiah would be born of a virgin (Isaiah 7:14). Jesus was born of a virgin (Mt. 1:20-23). The Messiah would come from the Israelite tribe of Judah (Isaiah 37:31). Jesus came from the tribe of Judah (Mt. 1:1-2,16). The Messiah would be born in Bethlehem (Micah 5:2). Jesus was born in Bethlehem (Mt. 2:1). The Messiah would be betrayed for 30 pieces of silver (Zech. 11:12). Jesus was betrayed for 30 pieces of silver (Mt. 26:14-15). The Messiah’s betrayal money would be used to buy a potter’s field (Zech. 11:12-13). Jesus’s betrayal money was used to buy a potter’s field (Mt. 27:3-10). The Messiah’s hands and feet would be nailed (Ps. 22:16). Jesus hands and feet were nailed to a cross (John 20:25). The Messiah’s killers would cast lots for His clothing (Ps. 22:18). Jesus’ killers cast lots for his clothing (Mt. 27:35). This list is only a small sample size. In comparison, this list is like a six inch sub sandwich cut off of a 100 foot sandwich. “What do you mean?” the critic may ask. Well, there are over 425 messianic prophecies fulfilled in Jesus Christ and this list only contains seven for brevity sake. No human could simulate this feat. Some people would call these coincidences, but they would have to go to court and legally change their name to Fool. If coincidence is the new word for miracle then this author agrees. The Bible is exactly what it claims to be…the word of God. ​For the Christian,Christ tells us that “men always ought to pray” (Luke 18:1); but we do not pray without hope, for God has promised to answer prayer. Jesus said: “Ask, and it will be given to you; seek, and you will find; knock, and it will be opened to you” (Matt. 7:7). This promise of answered prayer has been confirmed by countless men of the Bible, like Elijah who prayed for rain and rain fell on the earth. It can also be confirmed by us, as we see the fruit of answered prayer all around us. Yet answered prayer does not come without certain conditions first being met. The first being that there is no unconfessed sin in our lives. The psalmist wrote: “If I regard iniquity in my heart, The Lord will not hear” (Psalms 66:18). A prayer by men living in sin is not a prayer heard by God. Another condition for answered prayer is Faith. Matthew wrote: “And whatever things you ask in prayer, believing, you will receive” (Matt. 21:22). When we go to God in prayer it will be fruitless if we don’t believe God can do what we are asking. Finally, ones purpose in prayer is important. Selfish, covetous prayers are not acceptable to God. “You ask and do not receive, because you ask amiss, that you may spend it on your pleasures” (James 4:3). One of the reasons the question we are looking at today ever came about was because some people never received the answer they wanted from a prayer. What was their problem? They asked amiss. Therefore we begin to see why prayer is such a powerful thing and should be a staple in the Christian life. Because through Gods wisdom in giving us prayer, He has provided for His Children the means to be comforted through their knowing that He is in fact listening. If you ask according to His will He will provide. God will not forget His children and He has given us prayer so that we can talk to our Father, knowing that He listens. I only ask that you remember that “No” is as much of an answer as “Yes” and just because we didn’t get what we want doesn’t mean God didn’t hear us.